Meet Go Fish Digital, the latest participants in our remote team story series. We learn how their distributed team works, the tools they use and get some hints and tips on how it should be done! We had a conversation with Brian, Founder of Go Fish Digital! Hey Brian! 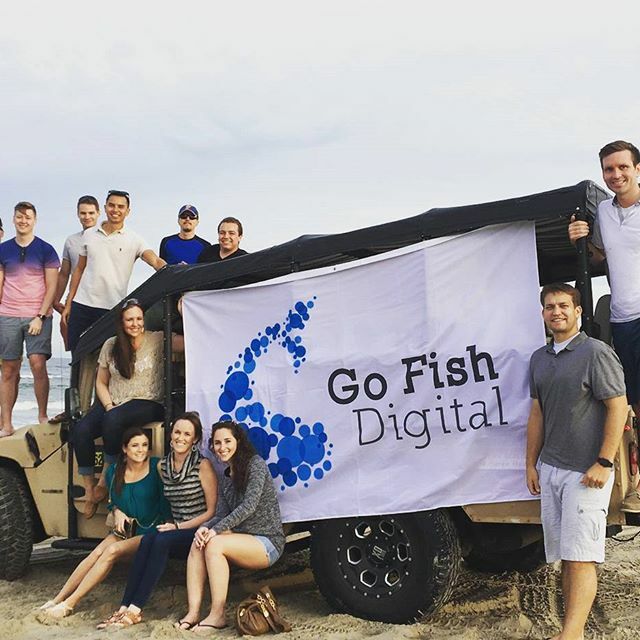 So what’s the most important value you have at Go Fish Digital? Flexibility – we’re flexible to accommodate all of our client needs. Not having a rigid structure has helped us develop whole new product offerings, build a strong semi-distributed team, and develop strong trusted advisor relationships with our clients to top it all off. Where is your semi-distributed team based? The company is headquartered outside of Washington, DC and we also have an office in Raleigh, NC. We also have distributed team members working remotely from Florida to California. Awesome! How often do you manage to get together? 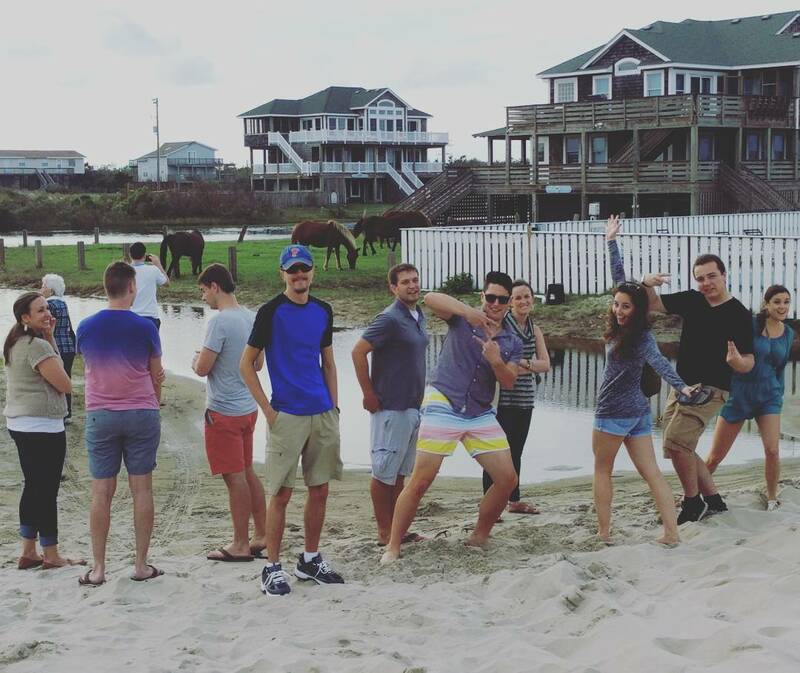 We have an annual retreat where we get together and have a lot of fun and focus on things other than the typical day-to-day work. We also travel frequently in smaller groups to work together out of the offices. We use Slack as a water cooler for both work and non-work related discussions and Sneek for near-instant video chat without having to invite people. Basecamp is where we do all of our task-based project management and Google Docs and Dropbox are how we share files fast. We build slide decks when needed, but otherwise most things are video chat or text based. How does work happen at Go Fish Digital day-to-day? We have a flexible work schedule, so most people work remotely about 2 days a week, and in an office about 3 days a week. We do have a handful of team members not near one of the offices, and so they are fully remote. We don’t have anything formal to start the day. If you are working remote, “coming in” means jumping on Slack and signing into Sneek, and then going on with your day. What is the biggest challenge you have faced so far as a business? The ongoing challenge for us is making sure we build strong processes that can be used as we grow and scale. What we’re trying to move away from is everyone having all of the knowledge for the job just in their head, which can make it harder to train new employees and grow the company. To help with this, we built a wiki that is actively updated with process steps, useful tips, and lists of resources and tools we use. This has been really helpful in deepening everyone’s knowledge base. What has been the best resource on remote working for your team? What has worked best for us is trial and error. We’ll try out new tools or methods with small groups, and if they work well, we’ll role it out to everyone. We aren’t afraid to experiment, and if something doesn’t work, that is totally OK and we’ll pull the plug. Building a culture that accepts and thrives on change means that we can take chances on things that may or may not work. What’s the funniest story you have from working remotely? We’ve had a lot of fun moments, but they are mostly inside jokes that would seem pretty unfunny if I told them here. I will say, if your team uses Slack, take advantage of the custom Emojis – our team has a lot of fun with those. Thanks for your time Brian, it’s been a blast. Follow Go Fish Digital on Facebook and Twitter! Have you checked out these templates? Doist — distributed, fun-loving, passionate. Startups and saunas – visiting Deekit in Estonia! GrabCAD – hardworking and passionate.